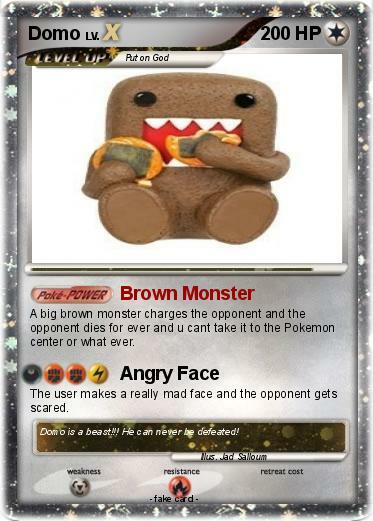 A big brown monster charges the opponent and the opponent dies for ever and u cant take it to the Pokemon center or what ever. The user makes a really mad face and the opponent gets scared. Comments : Domo is a beast!!! He can never be defeated!